Do you have an interest in working with animals? We are a County run shelter and have to follow County and NC Department of Agriculture rules. Therefore, we have some requirements volunteers must follow. 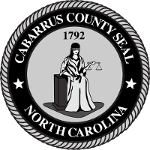 Read these requirements to volunteer at the Cabarrus County Animal Shelter. 1. Must 18 years of age or older. 3. Be aware volunteering here is physically demanding and can be emotionally challenging service. 4. Must be able to handle animals of various weights. 5. Be aware you may be handling / using potentially harmful / hazardous disinfectants, including bleach and other chemicals. 6. Must sign a waiver and complete the volunteer orientation and training when scheduled. 7. Must be able to comply with and follow the rules set by the Cabarrus County Animal Shelter and the NC Dept. of Agriculture. 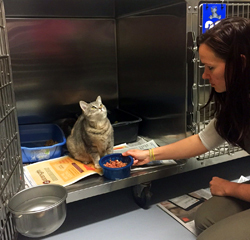 Volunteers can come to the shelter when scheduled, during the hours of 8 am - 5 pm Monday – Fridays. We do not yet have routine weekend hours for volunteers. However, we do occasionally have events on the weekends and do need the help of volunteers at those times. shelter. Once we receive your questionnaire we will contact you to schedule a meet and greet, volunteer orientation and training. If you feel you don’t meet the requirements but would still like to help the animals in some way, View the DONATIONS we need. We can always use donations for the animals! Thanks again for you interest in helping the animals! We appreciate it!